This just in: A new health myth has been taking the country by storm. Perhaps I'm exaggerating a bit. After all, health fads — especially diet fads — have come and gone for decades. Some are more worthy than others. For example, I am impressed by the evidence supporting the Mediterranean diet as a healthy option. As each one of us is different, the "ideal diet" may not be the same for each person. But the interest and enthusiasm surrounding the gluten-free food movement in recent years has been remarkable. Just a few years ago, relatively few people had ever heard of gluten. And it certainly wasn't the "food movement" it has recently become. If you're considering limiting your consumption of gluten, you're certainly not alone. But, the question is: Will restricting the gluten you eat improve your health? And will it make you feel better? It's appealing to think so. Gluten is a protein found in many grains, including wheat, barley and rye. It's common in foods such as bread, pasta, pizza and cereal. Gluten provides no essential nutrients. People with celiac disease have an immune reaction that is triggered by eating gluten. They develop inflammation and damage in their intestinal tracts and other parts of the body when they eat foods containing gluten. Current estimates suggest that up to 1% of the population has this condition. 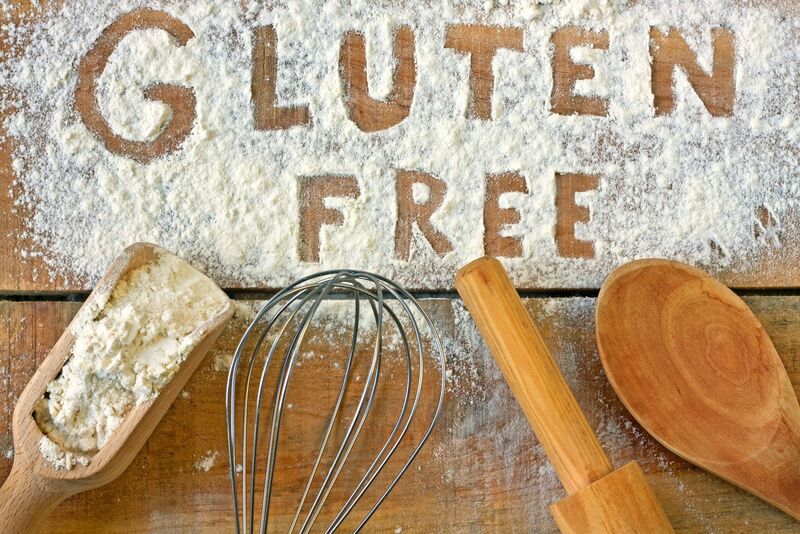 A gluten-free diet is necessary to eliminate the inflammation, as well as the symptoms. Grocery stores and restaurants now offer gluten-free options that rival conventional foods in taste and quality; only a few years ago, it was much harder to maintain a gluten-free diet. So, maybe it should come as no surprise that people would embrace the gluten-free mantra. And embrace it they have. According to a survey by the Consumer Reports National Research Center a full 63% of Americans believe that a gluten-free diet could improve their mental or physical health. And up to a third of Americans are cutting back on it in the hope that it will improve their health or prevent disease. Is This Really a Myth? There is no compelling scientific evidence to support it. There is at least some scientific evidence against it. There is a pseudo-scientific explanation that may have intuitive appeal (for example, enemas to "detoxify" the colon). The idea defies standard understanding of biology or has no reasonable biologic explanation. An example is a diet that is said to help you lose weight despite increasing your caloric intake and reducing exercise. From this definition, the notion that a gluten-free diet will improve health is a certifiable health myth for most people. There is at least some truth to the idea that gluten can be harmful. As mentioned, people with celiac disease avoid sickness and maintain much better health if they follow a gluten-free diet. For them, a gluten-free diet is nothing short of essential. And then there are people described as "gluten-sensitive." Their tests for celiac disease are negative (normal) and yet they get symptoms (including bloating, diarrhea or crampy abdominal pain) whenever they eat foods that contain gluten. One cause is wheat allergy, a disorder that can be diagnosed by skin testing. But for many, the diagnosis remains uncertain. Some have begun calling this "non-celiac gluten hypersensitivity," a poorly defined condition about which we have much to learn. Avoiding gluten makes sense for people with celiac disease, wheat allergy or those who feel unwell when they consume gluten. There is no compelling evidence that a gluten-free diet will improve health if you don't have celiac disease. The same is true if you can eat gluten without trouble. Of course, future research could change this. We may someday learn that at least some people without celiac disease or symptoms of intestinal disease are better off avoiding gluten. So Why Are Gluten-Free Diets So Popular? Intuition – It just seems like a good idea. Logic – If gluten is bad for people with celiac disease, maybe it's bad for me. Celebrity endorsement – If eliminating gluten is encouraged by someone I admire, maybe I should give it a try. Anecdote – Testimonials can be powerful. Hearing about someone with bothersome symptoms that finally went away after eliminating gluten is difficult to ignore. Marketing – Never underestimate the power of persuasion. Those selling gluten-free products or books about gluten-free diets can be convincing even if there's little science to back it up. Actually, just about any health intervention comes with some risk. Eliminating gluten is no exception. Before you buy into the gluten-free life, buyer beware! It may not help, may cause trouble, and it'll likely cost you more. While many people in the Consumer Reports survey thought gluten-free diets were more nutritious and contained more minerals and vitamins than conventional foods, the opposite is often true. Gluten-free foods are commonly less fortified with folic acid, iron and other nutrients than regular, gluten-containing foods. And gluten-free foods tend to have more sugar and fat. Several studies have found a trend toward weight gain and obesity among those who follow a gluten-free diet (including those with celiac disease). Meanwhile, gluten-free foods tend to be more expensive than conventional foods. It reminds me of the organic food option: People are often willing to pay higher prices for foods they think are healthier. The problem is that there is little or no proof that these foods are actually better for you. What's a Gluten-Conscious Person To Do? If you feel well and have no digestive symptoms, enjoy your good health! And stop worrying so much about gluten. There are reliable tests to diagnose celiac disease. These include blood tests that detect certain antibodies, genetic tests and intestinal biopsies. The results can help you understand which, if any foods, you should avoid. You may learn that you can eat anything you like. Or, you may learn that it's lactose (the sugar in milk), not gluten, that's causing you trouble. Or, you may turn out to have another common condition that's unrelated to gluten, such as Crohn's disease, an ulcer or irritable bowel disease. We are undoubtedly in a time of heightened gluten awareness. Is that a good thing? It is if you have celiac disease. I think it's a major step forward that people who truly need to avoid gluten can do so more easily than in the past as more gluten-free foods are now available and labels are more clearly identifying foods with or without gluten. But the "dangers" of gluten have probably been overstated — and oversold. Don't be swayed by an elite athlete or movie star to restrict your diet when there's no medical reason to do so. It's up to you and your doctor – not a celebrity or a book author - to take care of your health.